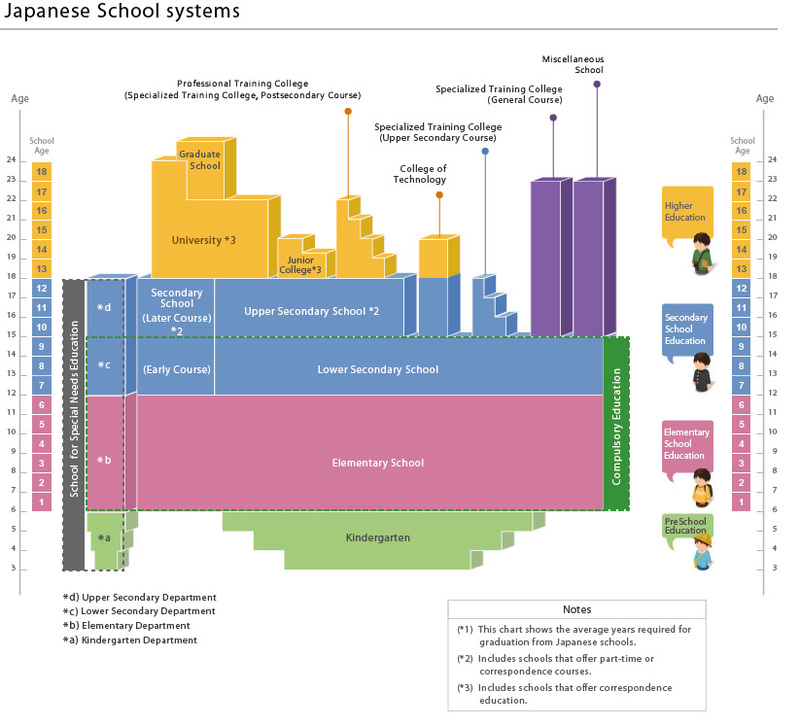 Japanese Children start elementary school at the age of six. Elementary school is from grade one to six. Grades seven to nine are junior high school, and grades 10 to 12 are senior high school. Junior and senior high schools are often separate. 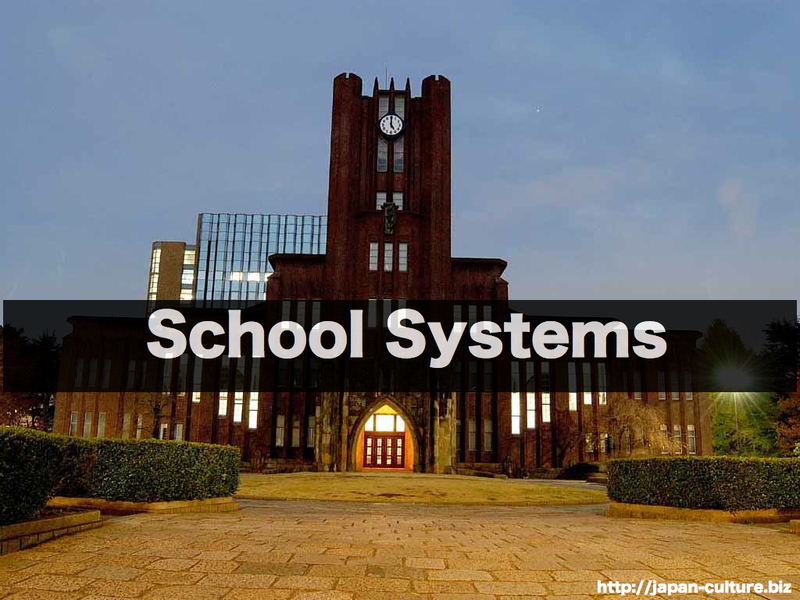 After high school, there are vocational schools, two-year colleges, four-year universities, and graduate schools. Students must finish grade nine. Most students go to high school, and about half of high school graduates go to two-year college or universities. At all levels, there are public and private schools. Public schools receive funding from the government.